Aromas of pale grains, a semi-sweet middle and a clean-as-Coloradosnow finish make this our best-selling beer. Slides down easy. 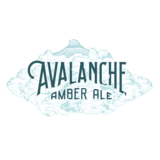 That’s what makes our Avalanche amber ale such a treat. We blend pale and caramel malts — and just a kiss of bittering hops — to create a refreshing-but-flavorful, anytime beer.